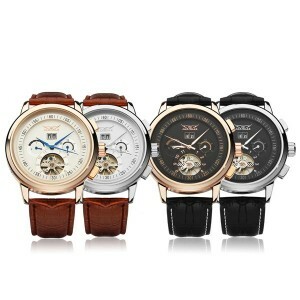 Gentlemen, are you lack of a decent commercial watch to match your suit? 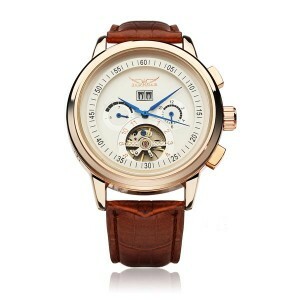 In recent days, two new kinds of men’s watches are specially designed for commercial men. 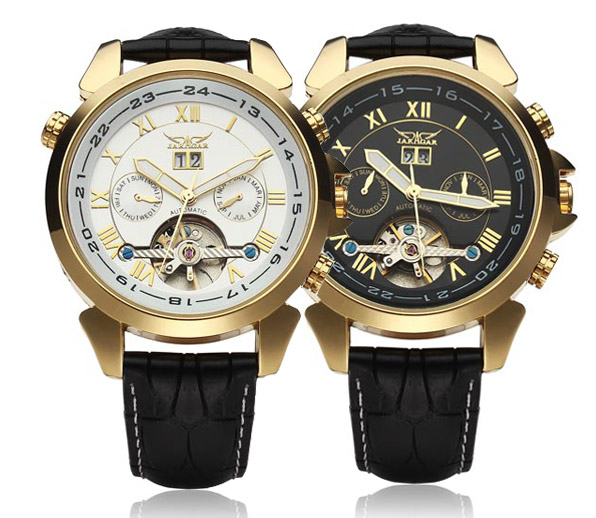 They are the mechanical flywheel watch and the luxury leather mechanical watch, which have earned lots of enthusiastic comments from our clients. Follow me to appreciate them and maybe you can take them into account! 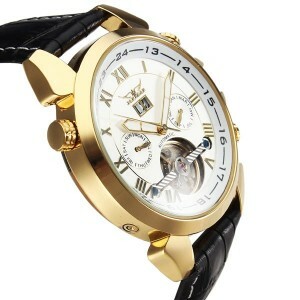 Look at the mechanical flywheel watch first. 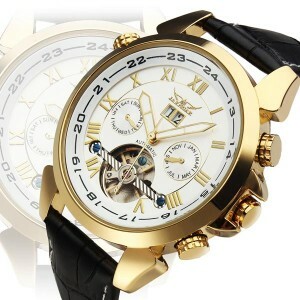 With a golden brim along the dial, the whole modeling gives us a luxury feeling obviously. 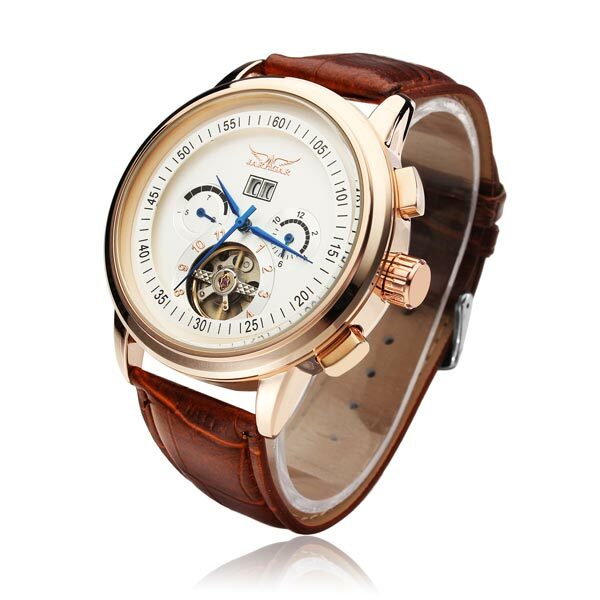 There is a flywheel inside the dial, which not only can be as a fantastic decoration, but also can creat a cool feeling for a man. Golden Roman numbers are engraved on the surface with a date show in the center. No matter the metal or the leather, both of them are made from superior materials, so you can have confidence in its quality. There are two classic colors for you to choose: white and black, which are convenient enough to match your suit when you go to work every day. 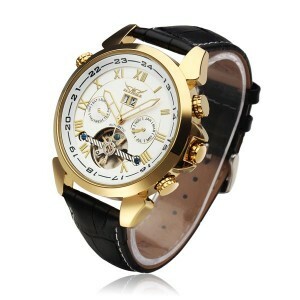 Another watch- the luxury leather mechanical watch is also applied commercial style to the design. The crystal dial seems so clear and the scale is pretty accurate. 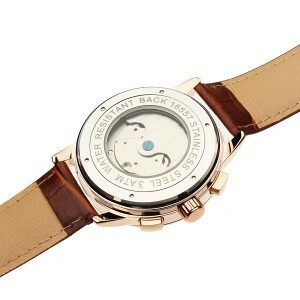 With blue hour, minute and second hands, it looks different from other ordinary commercial watches. 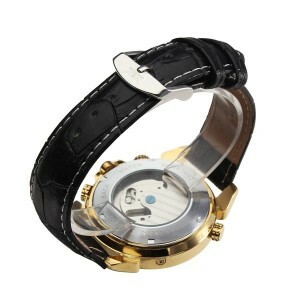 Two colors are offered for you: brown and black. Choose one according to your preference. 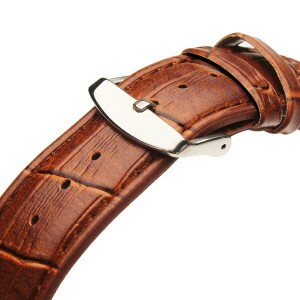 It is essential for commercial men to have a superior commercial watch. If you are satisfied with the two recommendations above, why not take measures to purchase one? Come on!